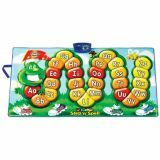 2.75" Lower letters that can be linked together for grouping, spelling, phonics and patterning or used by themselves for sorting and matching. Easy for kids 3+ to link together and take apart. 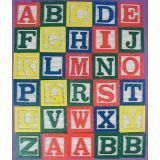 2.75" Capital letters that can be linked together for grouping, spelling, phonics and patterning or used by themselves for sorting and matching. Easy for kids 3+ to link together and take apart. 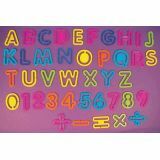 2.75" Capital and lower case letters that can be linked together for grouping, spelling, phonics and patterning or used by themselves for sorting and matching. 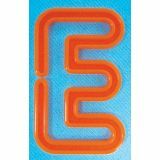 Easy for kids 3+ to link together and take apart. 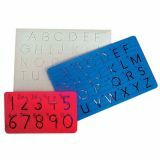 This set of durable plastic stencils make it easy for children to follow the first steps in upper case and number formation. Numbered arrows indicate correct start & direction for a positive learning experience.